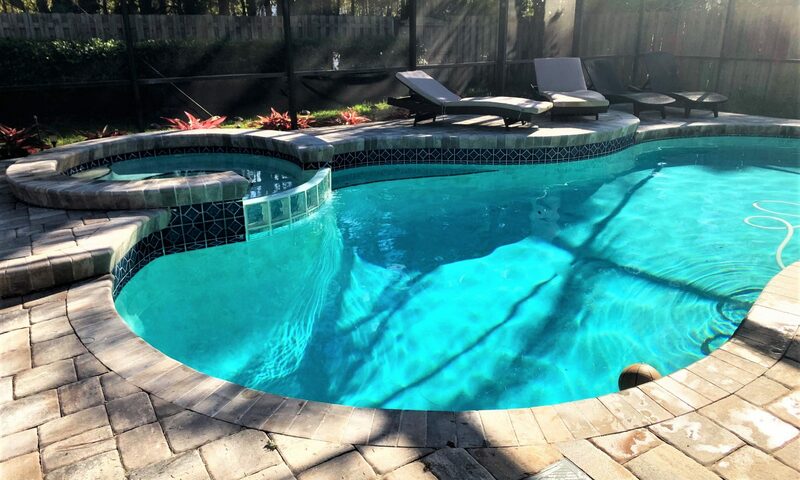 Did you know that statistically, the best time to purchase a home with a pool is in January? With the exception of a few days here and there in Florida, the first month of the year is the peak of the “off season” for pool usage. Shoot– most of us here put on a jacket and closed toed shoes when the temperature drops below 70′. 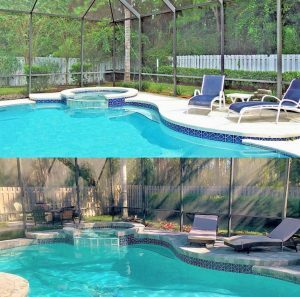 While its obviously still nice to have a pool, it’s not at at the forefront of a buyer’s mind during that time so homes with them can be scooped up at a lower price. 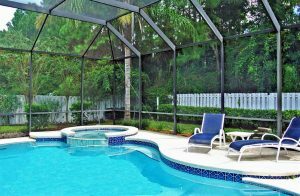 Keeping that in mind, can you guess historically when the best time to sell a home with a pool is? The answer is the hottest month of the year: August. Buyers will be more enticed by the cool, calming water once the thermometer has hit the high notes, much to a seller’s advantage. 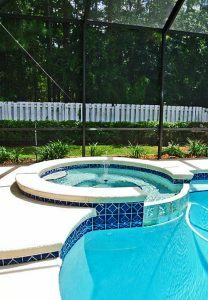 Generally speaking, making any pool decking upgrades/repairs in the summer could cost you more as well due to a higher demand. 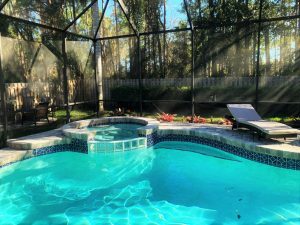 In the winter, again since pools are not in the foreground of most folk’s mind, pool contractors may have special $ saving deals running to improve decking, pumps, etc. 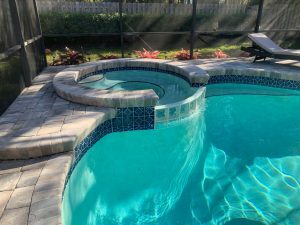 Whether you are buying a home with a pool, putting a pool into a home you have just purchased, or looking to refresh your existing pool, there are some options as to how you can approach spicing up your deck installation. Before: Pool with Kool decking. This pool was 20 years old at the time of home purchase, and the decking started to have some typical cracking and wear. During escrow, the new owner began to tinker with the idea of replacement. Kool decking is that- very cool. As in neat in and of itself and to the touch. The material it is comprised of has been successful in keeping your toes from burning before you jump in for nearly 60 years. It is very durable, but has to be installed by a experienced professional with expertise in knowing exactly when to apply to fresh concrete. Repairs can be tricky for the same reason. Pavers are my personal favorite. Depending on the type you choose, they can be costly in regard to the material itself, but they are very easy on the eye. Their texture can also aid in slip resistance, and as long as you keep up with sealing maintenance and cleaning they will last you a very long time. Their durability is remarkable, and they can withstand the elements with ease and little (if any) shifting. 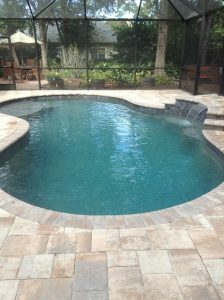 For a full pavered pool being installed from start to finish, read this story. Acrylic topper cleans up rather easy and is said to be cool to the touch but not as cool as Kool decking. It can also be slightly slippery (I’m looking at you huge scar on my thigh from childhood!) and surprisingly a little costly to have installed. Concrete is a great option in terms of versatility in color, appearance, and cost. You can have it textured, stamped, shaped, and poured in a variety of different ways in order to mimic stone or just about anything your aquatic heart desires. 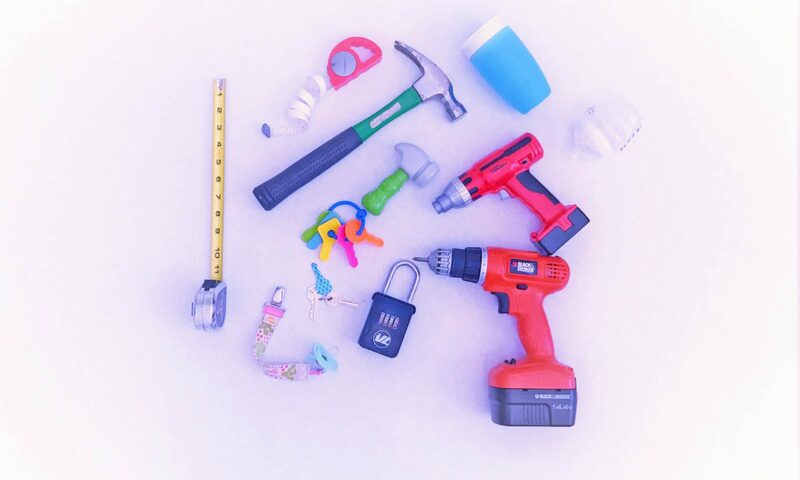 Main pitfalls- the rougher texture can irritate your feet and widespread changes in temperature can cause cracking and consequentially, trip hazards. Before: built in hot tub with Kool decking. 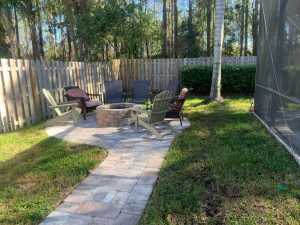 Although her Kool decking was in great shape overall, the new homeowner decided to spruce things up and switch over to pavers for aesthetic reasons. Check out the major difference it made with the hot tub! After: built in hot tub with paver decking. The end result came out so incredible, she decided to also extend the pavers out into an impressive fire pit. I think this transformation came out absolutely swimmingly. Which decking would you choose? Side note: The home this pool is at is dear to my heart, because its actually the 1st home I showed with my firstborn! 3 weeks old and getting a jump-start on his real estate career. 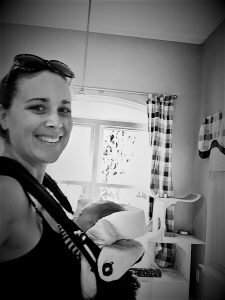 My official first Closing with Car Seat. This is such wonderful and helpful information. This information is helpful. I am currently in the market for a pool. How exciting! Let me know which type of deck you decide to move forward with.